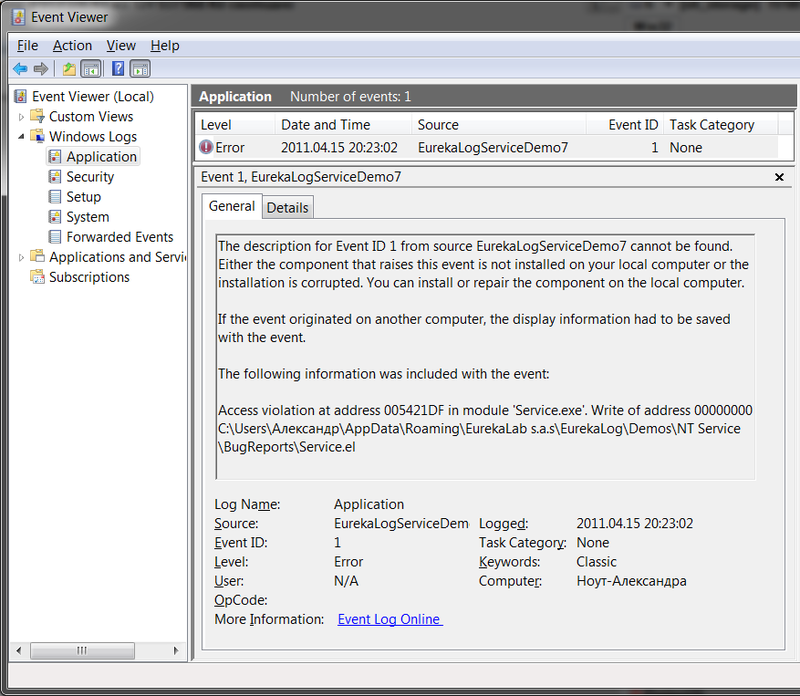 System log dialog behaves like no dialog, except it additionally records exception to system event log. This dialog type is usually used in service-like applications (like Win32 services, web-applications and so on). Please, refer to system logging setup article to know more about your application's registration. 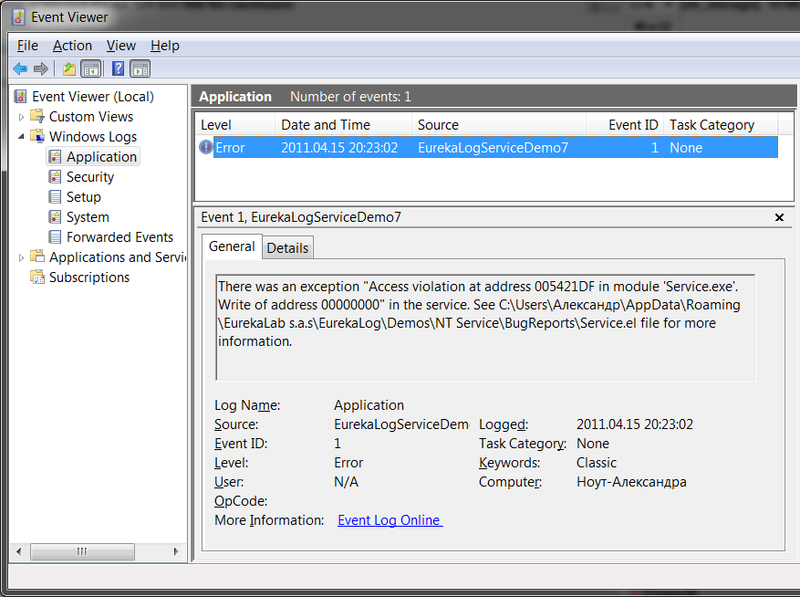 Please, refer to system log dialog options article to know more about configuring the dialog itself.